Lord Adair Turner is one of the world’s most influential experts on global economic trends, finance, and macro prudential regulation. A brilliant speaker, his forthcoming book – “Between Debt and the Devil: Money, Credit, and Fixing Global Finance” (Princeton, October 2015) – presents a characteristically daring analysis of the realities behind the financial crisis, and how to prevent it from happening again. 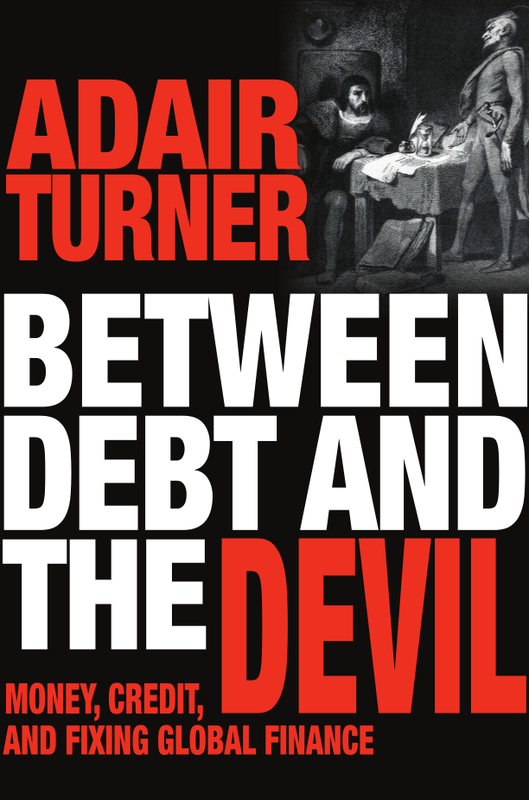 “Between Debt and the Devil” sets the record straight about what really caused the crisis. It didn’t happen because banks are too big to fail – our addiction to private debt is to blame. This eye opening book shows why we need to reject the assumption that private credit is essential to growth and fiat money is inevitably dangerous. Adair was appointed Chairman of the UK’s Financial Services Authority just as the global financial crisis struck in 2008. In 2009 he produced the influential Turner Review, which recommended a thorough re-think of global banking regulation in response to the credit crunch and collapse of global banking liquidity. He is now Senior Fellow at the Institute for New Economic Thinking – a think tank founded by George Soros – where he dedicates his time to answering the big questions facing macroeconomic policy-makers across the world. If you’d like to learn more about Adair Turner‘s book, speaking topics and availability, please contact Leo von Bülow-Quirk at leo@chartwellspeakers.com or call 0044 (0) 20 7792 8000. After nearly 12 years, the US is readying itself for withdrawal from Afghanistan. However, Joseph Stiglitz believes that “there will be little in the way of a peace dividend for the US economy once the fighting stops”, as he discusses the real cost of America’s wars. The US has already borrowed $2tn to finance the Afghanistan and Iraq wars – a major component of the $9tn debt the country has amassed since 2001, along with those arising from the financial crisis and the tax cuts implemented by President George W. Bush. However, withdrawal will not have a rejuvenative effect on America’s continuingly embattled economy. “It could have been hoped that the ending of the wars would provide a large peace dividend, such as the one resulting from the end of the cold war that helped us to invest more in butter and less in guns,” Stiglitz says. “Instead, the legacy of poor decision-making from the expensive wars in Afghanistan and Iraq will live on in a continued drain on the US economy – long after the last troop returns to American soil.” In Stiglitz’ lastest must-see piece, he sets out exactly why a positive and/or a basic reduction in spending should not be anticipated. For more information on how to book Joseph Stiglitz as a speaker, please contact Alex Hickman at alex@chartwellspeakers.com or call +44 (0) 20 7792 8004.